This article is about the district. For its eponymous headquarters, see Vizianagaram. 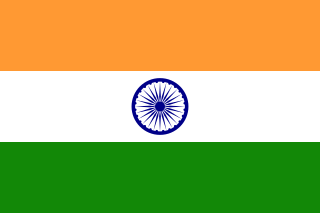 Vizianagaram district is a northern coastal district of Andhra Pradesh, India. The town of Vizianagaram is the district headquarters. The district is bounded on the east by the district of Srikakulam, southwest by the district of Visakhapatnam, southeast by the Bay of Bengal, and northwest by the state of Odisha. Vizianagaram is a city and district headquarters of Vizianagaram district in the Indian state of Andhra Pradesh. It is a municipality and also the mandal headquarters of Vizianagaram mandal. It is located 18 km inland from the Bay of Bengal and 42 km to the northeast of Visakhapatnam. A princely state, also called native state, feudatory state or Indian state, was a vassal state under a local or regional ruler in a subsidiary alliance with the British Raj. 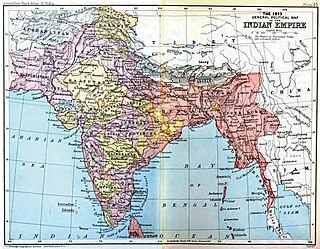 Though the history of the princely states of the subcontinent dates from at least the classical period of Indian history, the predominant usage of the term princely state specifically refers to a semi-sovereign principality on the Indian subcontinent during the British Raj that was not directly governed by the British, but rather by a local ruler, subject to a form of indirect rule on some matters. In actual fact, the imprecise doctrine of paramountcy allowed the government of British India to interfere in the internal affairs of princely states individually or collectively and issue edicts that applied to all of India when it deemed it necessary. The history of Vizianagaram district is with Kalinga dynasty. In modern times, the upper part of Kalinga was gradually merged into Odisha state and the lower part into Andhra Pradesh. The Kalinga empire extended from Cuttack in Odisha to Pithapuram in East Godavari district as far back as the 4th century BC. The Nandas ruled the area between 467 and 336 BC. They were followed by the Mauryas, the Chedis, the Satavahanas, the Pitribhaktas, the Matharas, the Vasishthas, the Vishnukundinas, the early Eastern Gangas, the Eastern Chalukyas of Vengi, the late Eastern Gangas, the Reddis of Rajahmundry and the Velanati Cholas till the Kakatiyas appeared by 1210 AD. Odisha is one of the 29 states of India. Located in eastern India, it is surrounded by the states of West Bengal to the north-east, Jharkhand to the north, Chhattisgarh to the west and north-west, and Andhra Pradesh to the south. Odisha has 485 kilometres (301 mi) of coastline along the Bay of Bengal on its east, from Balasore to Ganjam. It is the 9th largest state by area, and the 11th largest by population. It is also the 3rd most populous state of India in terms of tribal population. Odia is the official and most widely spoken language, spoken by 36.6 million according to the 2016 Census. Cuttack is the former capital and the second largest city in the eastern Indian state of Odisha. It is also the headquarters of the Cuttack district. The name of the city is an anglicised form of Kataka which literally means The Fort, a reference to the ancient Barabati Fort around which the city initially developed. Cuttack is also known as the Millennium City as well as the Silver City due to its history of 1000 years and famous silver filigree works. It is also considered as the judicial capital of Odisha as the Odisha High Court is located here. It is also the commercial capital of Odisha which hosts a large number of trading and business houses in and around the city. Cuttack is also famous for its Durga puja which is the most important festival of Odisha and West Bengal. Cuttack is also the birth place of Netaji Subhas Chandra Bose. Pithapuram or Peetika Puram is a town and a municipality in East Godavari district in the Indian state of Andhra Pradesh. The town also forms a part of Godavari Urban Development Authority. The temple town is one of fifty five Sakti Peetikas. 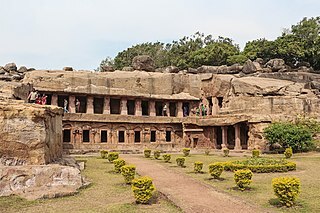 Recorded evidence show that some local dynasties like the Rapatri Chiefs and the Gangas of Narayanapura (situated near Balijipeta), the Gangas of Jantarunadu (the track now known as Srungavarapukota), ruled over parts of the district from the 12th to 15th century. Baliji-peta or Baligi-peta is a village in Vizianagaram district of the Indian state of Andhra Pradesh. According to some historians, most of the people of Original Balija caste have migrated from this village. Srungavarapukota popularly known by its abbreviated form S.Kota is a neighbourhood in the district of Vizianagaram, India. S.Kota is located on Visakhapatnam - Araku road. The town was upgraded from gram panchayat to Nagar Panchayat in the year 2011. The Kakatiya rulers under Ganapatideva defeated the Velanati Chola Chief, Prithvisvara who was ruling over the territory in 1210 AD. The territory was recovered by the Eastern Gangas during the reign of Ananga Bhima III. The Gajapatis of Odisha then came to rule the territory after overthrowing the Eastern Gangas in 1443 AD. The rule of the Gajapatis lasted for about 140 years till the Qutb Shahis conquered the territory around 1574 AD. Consequent on the occupation of Golconda by the Mughals in 1687 AD, the area came under the control of Mughals. When the Viceroy of the Mughals in Deccan, Nizam-ul-Mulk Asaf Jah declared independence in 1724 AD, the area came under the rule of the Asaf Jahis. In the war of succession after Nizam-ul-Mulk Asaf Jah died, Salabat Jung who came to power with the backing of the French General Marquis de Bussy, rewarded the French by ceding four Circars including the Chicacole Circar in 1753. An important event in the history of the district which occurred by about this time is the war between the Rajas of Vizianagaram and Bobbili, popularly known as Bobbili Yuddam. The war was fought between the MahaRaja of Vizianagaram aided by the French General Bussy and the Rajah of Bobbili on 24 January 1757. Salabat Jung was born Mir Sa'id Muhammad Khan Siddiqi Bayafandi in 24 November 1718. He was the 4th Nizam of Hyderabad and the 3rd son of Nizam-ul-Mulk. He was appointed as Naib Subahdar to his elder brother, Ghazi ud-Din Khan Feroze Jung II, the Prime Minister of Mughal Empire, with the title Salabat Jung. He was invested by Imperial firman, at Aurangabad, Maharashtra, 12 September 1749. He was granted the titles of Khan Bahadur and Salabat Jung during his father's lifetime. During the Second Carnatic War he was a prisoner, first in Nasir Jung's camp and later in Muzaffar Jung's camp. After Muzaffar Jung was killed by the Afghans on 13 February 1751, Mir Sa'id Muhammad Khan was proclaimed as the new Nizam near Lakkireddipalli Pass, by the French under De Bussy with the title Asaf-ad-Daulah, Nawab Said Muhammad Khan Bahadur, Salabat Jung, Zafar Jung, Nawab Subahdar of the Deccan. He was promoted to the title of Amir-ul-Mamalik by the Emperor Alamgir II. He was the ruler of the Hyderabad State in India from 1751 until 1762. Khilwath palace of Hyderabad was also built by him. Bobbili is a town in Vizianagaram district of the Indian state of Andhra Pradesh. Another important event in the history of the district is the war between the French and English fought at Chandurthi in 1758, in which the French were defeated and the Northern Circars were made over to the British under a firmana from the Mughal emperor Shah Alam in 1765 which were placed under the then existing Chief and Council at Vizagapatam. In 1794, the Chiefs and Councils were abolished and Vizagapatam was arranged into three divisions each under a collector. Almost the entire area of the present area of Vizianagaram district fell under the second division. However the three divisions were merged and a collectorate for the whole district was established in 1803 after the introduction of the permanent settlement in the area. The history of the rebellions against the British rule goes back to 1830s when the people of the district particularly the tribals unable to bear the oppression, rose in frequent rebellions (fituris) leading to the establishment of separate administrative system known as "Agency Administration" under the India Act XXIV of 1839. The rebellion of Korra Mallaiah, a tribal chief of the Salur area against the British rule in 1900 is another important event. The district magistrate dispatched Reserve Police to suppress the revolt, which was seriously resisted by the people. In the skirmish that followed many were killed. Korra Mallaiah along with son was arrested and kept in Jail where he died subsequently. Subsequently, in the Indian freedom movement, the people hailing from this area enthusiastically took part in various phases like non-cooperative movement, civil disobedience movement, Quit India Movement etc. After abolition of the Zamindaris in 1948, Visakhapatnam district was found to be unwieldy for administrative purposes. Consequently, Srikakulam district was carved out in 1950 bifurcating it from Visakhapatnam district. Vizianagaram district was formed on 1 June 1979, as per G.O.Ms.No.700/Revenue (U) Department, dated 15 May 1979 with some parts carved from the neighbouring districts of Srikakulam and Visakhapatnam. The Taluks of Vizianagaram, Gajapathinagaram, Srungavarapukota and a portion of Bheemunipatnam Taluk were transferred from the Visakhapatnam District. The Salur, Bobbili, Parvathipuram and Cheepurupalli Taluks from Srikakulam district were transferred to the new district. The climate of Vizianagaram district is characterised by high humidity nearly all-round the year with oppressive summer and good seasonal rainfall. The summer season from March to May is followed by South West monsoon season, which continues up to September. October and November constitute the retreating monsoon season.December to February is the season of fine weather. The climate of the hilly regions of the district receives heavier rainfall and cooler than the plains. The maximum temperature recorded during 2004 is 39.6O C during May and the minimum temperature is 17.1O C during December. The normal rainfall of the district for the year is 1,131.0 MM as against the actual rainfall of 740.6 MM received during 2002-03. The district gets the benefit of both the South ?West and North- East monsoon. The district had a population of 9,58,778 in 1901. The total population of district increased to 22,49,254 as per 2001 census. They consists of 11,19,541 males and 11,29,713 females. There are 1009 females per 1000 males in the district. The total area is 6,539 square kilometres. The population density is 344 persons per km². The increase in population during the decennium from 1991 to 2001 is 6.55 percent for the district as against 14.6 percent for the Andhra Pradesh State. The Scheduled Caste population is 2,38,023 and Scheduled Tribe population is 2,14,839 which comes to 10.58% and 9.55% respectively to the total population of the district. The rural population of the district is 18.37 lakhs which comes to 82% of the total population and the urban population is 4.12 lakhs which comes to 18% of the total population. Vizianagaram Town with a population of 1,95,801 is the only Class-I town in the district. There are twelve towns in the district; Vizianagaram, Cheepurupalli, Gajularega, Kanapaka, Bobbili, Parvathipuram, Salur, Sriramnagar, Nellimarla, Kothavalasa, Chintalavalasa, Jarjapupeta and Gajapathinagaram. All the towns are in plain areas of the district. The industrial development in the district generally agriculture based and consists of Jute mills, Sugar factories, Rice and Oil mills and Tiles manufacturing units. The mineral deposits are utilised by the FACOR and other industries. There are 520 factories registered under the Factories Act in 2005 in the district employing about 27,800 workers (males and females). There are 9 assembly 3 parliamentary constituencies in Vizianagaram district. The parliamentary constituencies includes Visakhapatnam, Araku, Vizianagaram . The assembly constituencies  in Vizianagaram district are Bobbili, Kurupam, Cheepurupalli, Parvathipuram, Salur, Srungavarapukota, Gajapathinagaram, Nellimarla and Vizianagaram. There are 2 revenue divisions, 34 Mandals, 935 Panchayats and 1,551 revenue villages in Vizianagaram district. The revenue divisions are Parvathipuram and Vizianagaram. Vizianagaram parliamentary constituency is represented by the Former Union Civil Aviation Minister Pusapati Ashok Gajapathi Raju. The predominant religion is Hinduism. The major festivals are Sankranthi, Ugadi and Rama Navami, Maha Shivaratri, Deepavali, Ganesh Chaturthi, Dasara and Vijayadasami. The nine-day festival celebrations during Rama Navami and Ganesh Chaturthi are very popular in many towns and associated with many cultural events including Stage Dramas, Harikathas, Burra kathas etc. Festivals of Gramadevatha are held annually at Vizianagaram, Bobbili, Salur, Parvathipuram and Sambara with much fanfare. The most popular amongst them is Pydithalli Ammavari Jatra, celebrated at Vizianagaram on the next Tuesday of Vijayadasami day. And also Polamma Jatara, at Sambara in Sambara Village of Makkuva Mandal is a Very much state known famous festival being celebrated in every 3rd week of January. This is a very renowned festival for north andhra people. The cuisine is strikingly South Indian Style with Rice as the staple food accompanied by Dals, Rasam or Sambar, Vegetable Curries, Pickles and Curd. Railway network in the entire district comes under Waltair Railway Division of the East Coast Railway. Vizianagaram and Kothavalasa are the main railway junctions. There are 28 railway stations in the district. The route length is 169.656 kilometres in Broad Gauge Double Line and 68.860 kilometres in Broad Gauge Single line. National Highways 5 and 43 passes through the district and covers a distance of 200 kilometres. National Highway 43 (India) runs almost entirely in Vizianagaram district for a distance of 83 kilometres and passes through Odisha to Raipur in Chhattisgarh (total length of 551 kilometres). It passes through Vizianagaram, Gajapathinagaram, Ramabhadrapuram and Salur towns. National Highway 5 passes through coastal mandals of Bhogapuram and Pusapatirega. State Highways covers a distance of 122 kilometres, major district roads 852 kilometres and rural roads 781 kilometres. The Panchayat Raj roads covers a distance of 4,080 kilometres. Andhra Pradesh State Road Transport Corporation (APSRTC) is the major public transport system operated by fleet of buses. Vizianagaram is one of the 4 zones and one of the 23 administrative regions headed by General Manager of APSRTC. There are 4 bus depots at Vizianagaram, Parvathipuram, Srungavarapukota and Salur. There are many bus stations in the entire district. Auto Rickshaw, Cycle rickshaw and Cycles are the major modes of local transport in the small towns and villages. Ramatheertham is a village panchayat in Nellimarla mandal of Vizianagaram district. It is located 12 km from Vizianagaram city. Vizianagaram district has been comparatively backward in the field of education. The literacy rate is 51.82% as against the average of 61.55% for the entire Andhra Pradesh State. There are 38 Branch Libraries in the district managed by Zilla Granthalaya Samstha. They are located 1-2 in each mandal. There are about 41 book depot centres in the district. Kodi Rama Murthy College of Physical Education, Bobbili. Maharajah's Government College of Music and Dance. Television and Radio are regular homely entertainment. Telugu films are very popular in recent days. There are as many as 81 Movie theatres in almost all the towns, mandals and big villages in the district. In many places, it is the only mode of entertainment outside. The Maharajkumar of Vizianagram fondly known as Sir Vizzy popularised the cricket game in North Eastern Coastal Andhra Pradesh. It is in honour of this great entrepreneur of cricket that Vizzy Stadium was made in his home town, Vizianagaram. The Vizzy Stadium is one of the Cricket grounds in Andhra Pradesh, where first class cricket is played. Vizzy led India in Test cricket and later became a cricket administrator and commentator. He was the President for the Board of Control for Cricket in India. He loved doing commentaries for All India Radio. He was a very benevolent man, who donated the Wellington pavilion at the Ferozshah Kotla stadium in New Delhi. Srikakulam district is one of thirteen districts in the Indian state of Andhra Pradesh. It is one of the nine coastal districts, located in the extreme northeastern direction of the state. The headquarters of the district is at Srikakulam. It was formerly known as Chicacole. Parvathipuram is a Municipality.It is located in Vizianagaram district of Indian state of Andhra Pradesh.It is also a revenue division in Vizianagaram district This Revenue Division shares a border with Srikakulam District and various districts in Odisha. Salur or Saluru is a municipal town and mandal headquarters in Vizianagaram district, of the Indian state of Andhra Pradesh. The River Nagavali also known as Langulya is one of the main rivers of Southern Odisha and Northern Andhra Pradesh States in India, between Rushikulya and Godavari basins. Urlam village is located in Narasannapeta mandal in Srikakulam district, Andhra Pradesh, India. The Vizagapatam Hill Tracts Agency was an agency in the Madras Presidency of British India. The agency was autonomous and supervised by an agent subordinate to the District Collector of Vizagapatam District. Cheepurupalli Assembly constituency is a constituency of the Andhra Pradesh Legislative Assembly, India. It is one of 9 constituencies in the Vizianagaram district. It comes under Vizianagaram along with 6 other Assembly constituencies. Etcherla Assembly constituency is a constituency of the Andhra Pradesh Legislative Assembly, India. It is one of 10 constituencies in the Srikakulam district. Rajam Assembly constituency is a SC reserved constituency of the Andhra Pradesh Legislative Assembly, India. It is one of 10 constituencies in the Srikakulam district. Nellimarla Assembly constituency is a constituency of the Andhra Pradesh Legislative Assembly, India. It is one of 9 constituencies in the Vizianagaram district. Srungavarapukota Assembly constituency is a constituency of the Andhra Pradesh Legislative Assembly, India. It is one of 9 constituencies in the Vizianagaram district. Bobbili is one of the 34 mandals in Vizianagaram district of Andhra Pradesh, India. Bobbili town is the headquarters of the mandal. The mandal is bounded by Makkuva, Seethanagaram, Balajipeta, Salur, Ramabhadrapuram, Badangi and Therlam mandals. Salur mandal is one of the 34 mandals in Vizianagaram district of the Indian state of Andhra Pradesh. It is administration under Parvathipuram revenue division and headquartered at Salur. The mandal is bounded by Makkuva, Ramabhadrapuram, Pachipenta and Bobbili mandals. A portion of it also borders the state of Odisha. Makkuva mandal is one of the 34 mandals in Vizianagaram district of the Indian state of Andhra Pradesh. It is administration under Parvathipuram revenue division and headquartered at Makkuva. The mandal is bounded by Salur mandal on South & West, Parvathipuram mandal on North, Seethanagaram mandal on east and Bobbili mandal on south east. A portion of it also borders the Narayanapatna block of the Koraput district of Odisha on north west. Pachipenta mandal is one of the 34 mandals in Vizianagaram district of the Indian state of Andhra Pradesh. It is administration under Parvathipuram revenue division and headquartered at Pachipenta. The mandal is bounded by Salur, Ramabhadrapuram and Mentada mandals. A portion of it also borders the state of Odisha. Mentada mandal is one of the 34 mandals in Vizianagaram district of the Indian state of Andhra Pradesh. It is administration under Parvathipuram revenue division and headquartered at Mentada. The mandal is bounded by Pachipenta, Ramabhadrapuram, Dattirajeru and Gajapathinagaram mandals. A portion of it also borders the state of Odisha. Ramabhadrapuram mandal is one of the 34 mandals in Vizianagaram district of Andhra Pradesh, India. Ramabhadrapuram is the headquarters of the mandal. The mandal is bounded by Salur, Bobbili, Badangi, Merakamudidam, Dattirajeru, Mentada and Pachipenta mandals. ↑ "District – Guntur". Andhra Pradesh Online Portal. Archived from the original on 28 April 2015. Retrieved 23 August 2014. ↑ Law, Gwillim (25 September 2011). "Districts of India". Statoids. Retrieved 11 October 2011. 1 2 3 "District Census 2011". Census2011.co.in. 2011. Retrieved 30 September 2011. ↑ "83 districts under the Security Related Expenditure Scheme". IntelliBriefs. 11 December 2009. Retrieved 17 September 2011. ↑ "Water Resources Information System". cgg.gov.in. Archived from the original on 28 September 2007. Retrieved 18 January 2007. ↑ "Rubber dam in focus at Arthur Cotton anniversary". The Hindu. ↑ Hand Book of Statistics, Vizianagaram district, 2004–2005, Compiled and Published by The Chief Planning Officer, Vizianagaram. ↑ "Census 2011" (PDF). AP government portal. Archived from the original (PDF) on 14 July 2014. Retrieved 15 June 2014. ↑ US Directorate of Intelligence. "Country Comparison:Population" . Retrieved 1 October 2011. Latvia 2,204,708 July 2011 est. ↑ "Census 2011". Official website of Viziznagaram district. Retrieved 12 May 2016. 1 2 3 "District Level Household and Facility Survey (DLHS-3), 2007-08: India. Andhra Pradesh" (PDF). International Institute for Population Sciences and Ministry of Health and Family Welfare. 2010. Retrieved 3 October 2011. 1 2 Ministry of Panchayati Raj (8 September 2009). "A Note on the Backward Regions Grant Fund Programme" (PDF). National Institute of Rural Development. Archived from the original (PDF) on 5 April 2012. Retrieved 27 September 2011. 1 2 "Economy of Vizianagaram District". Andhra Pradesh Economic Development Board. Retrieved 25 April 2017. ↑ "::.FACOR. ::Ferro Alloys Corporation Ltd". facorgroup.in. ↑ "Andhra Ferro Alloys Limited – Exporter of Ferro Alloy & Ferro Silico Manganese from Visakhapatnam". indiamart.com. ↑ "District Census Handbook – Vizianagaram" (PDF). Census of India. p. 26. Retrieved 13 February 2016. ↑ "Mandals in Vizianagaram district". AP State Portal. Archived from the original on 3 March 2016. Retrieved 24 May 2014. ↑ ":: APRDC ::". Andhra Pradesh Road Development Corporation. Roads and Buildings Department. Retrieved 9 November 2016. ↑ "School Education Department" (PDF). School Education Department, Government of Andhra Pradesh. Archived from the original (PDF) on 27 December 2015. Retrieved 7 November 2016. ↑ "The Department of School Education - Official AP State Government Portal". www.ap.gov.in. Archived from the original on 7 November 2016. Retrieved 7 November 2016. ↑ "School Information Report". Commissionerate of School Education. Government of Andhra Pradesh. Archived from the original on 8 November 2016. Retrieved 8 November 2016. ↑ "Student Information Report". Commissionerate of School Education. Child info 2015-16, District School Education - Andhra Pradesh. Archived from the original on 22 May 2015. Retrieved 8 November 2016. ↑ "Trust Boards Abstract". AP Temples Portal, Government of Andhra Pradesh. Retrieved 24 July 2018. Handbook of Statistics-Vizianagaram district.2004-2005., Compiled and Published by The Chief Planning Officer, Vizianagaram. Wikimedia Commons has media related to Vizianagaram district .